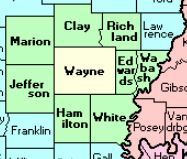 Wayne County ILGenWeb is a free genealogical site about the people and history of the county. We hope you find helpful clues for your research of ancestors and relatives of Wayne county. Please consider contributing your pieces of Wayne county family history. YOUR HELP IS NEEDED. Our combined efforts can make this a great site for all who visit! Co-Coordinator: You Wayne ILGenWeb needs a local co-coordinator to provide more helpful responses to queries. Are you familiar with the area? 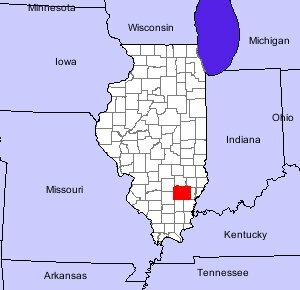 Do you have a family tree connection to the county? Are you experienced at researching in Wayne County? Please volunteer to give it a try. It is documented that settlers settled in what is now known as Wayne County as early as 1818 Though there have been 'unoffical' records that there were people in the area between 1812-1816. It became a county on March 26, 1819. Wayne came from General "Mad" Anthony Wayne, a General in the Revolutionary War and an Indian fighter in the Old Northwest Territory. 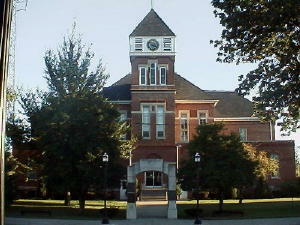 The county seat location was picked because it was the 'center' of the settled areas. Its surname, "Fairfield", was given because 'looking over the beautiful land, it was the fair fields that drew one's breath'. Click on histories to learn more details about this county. We have a new mailing list set up for communication since I do not own the [email protected] group and cannot update it. I set up a Google Groups for ilwayne.